Does your company have “Big Data”? During the past few years business professionals have heard the term “Big Data” emerge. At times is has been used both positively and negatively. Some companies tout their “solutions, using Big Data” others use the term as a scare tactic “How will your company deal with Big Data”. Before worrying about what to do with Big Data, let’s first discuss if your company has Big Data. 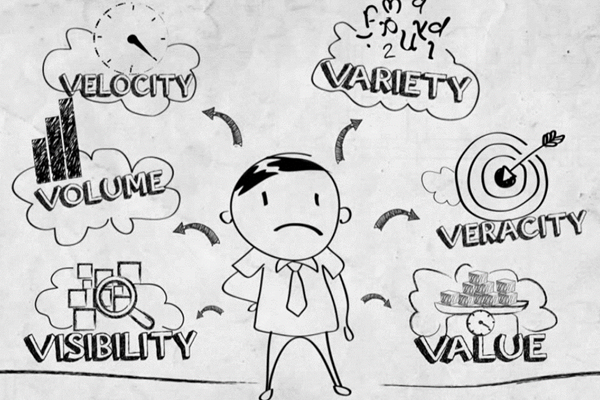 Big Data is defined by three aspects, Volume, Varity and Velocity. Volume is the amount of data that is being analyzed, Varity is the number of fields of within the collected data. Velocity relates to the speed at which data is being collected, real time data collection is becoming more and more common. While all these things would be very useful to most businesses, the reality is, most businesses don’t have the financial ability to collect and process this much data. In addition many businesses don’t require Big Data to thrive and grow in their marketplace. Of course there are large corporations who process and need Big Data, but your company may be just as effective with much smaller amount of information. In these situations products offered by large data analysis companies can be overwhelming and too broad for your needs. In addition they can be more expensive than your company’s budget can afford. It has become evident in the current business market place that more manageable products are necessary to fill these needs. Smaller software products that utilize data quality in Excel are a great place to start. Products that produce results with amounts of information much smaller than “Big Data”, yet have the ability to process increasingly amounts of data as a company grows are very useful. Aim-Smart is an excellent option for any business regardless of size. Aim-Smart is easy for business professionals and management with little to no data analyses experience to use. In addition, when used properly, Aim-Smart eliminates incorrect data and prevent incorrect data from lowering the quality of analyzation results. By placing these abilities in practically any employee’s hands team members are more informed and will make better decisions about what to do when the company has an issue that data can solve.